I love trains. When I was 10 years old we lived near a railroad yard in Saharanpur, India. In the evenings, along with my siblings, I would walk along the yard tracks and watch the mighty steam engines as they shunted to and fro, taking on coal and being serviced in the yard. Last month I took a road trip to the scenic Rockies town of Durango, Colorado. 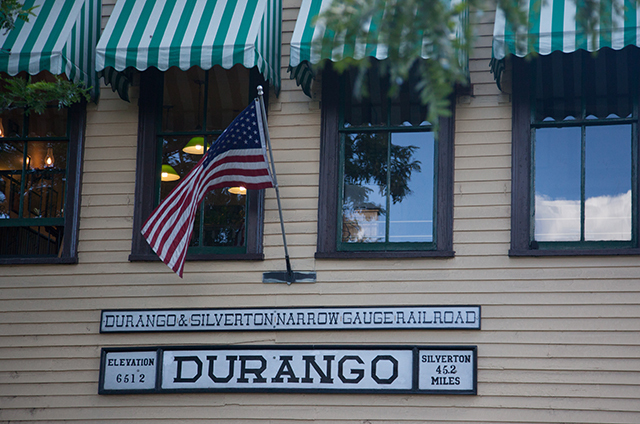 Founded in 1880 by the Denver and Rio Grande Railroad, historic Durango is perched at 6512 feet above sea level and is the terminus for a beautiful narrow gauge railroad that snakes up the mountains to the old mining town of Silverton (9318 feet above sea level) in the grand Colorado heights. We took lots of pictures along the scenic route taken by this steam train, which is reminiscent of the legendary Darjeeling express in India as well as other mountain trains I remember from my youth – the train to Simla from Kalka in Himachal Pradesh and the one to Ooty from Wellington in Mysore. 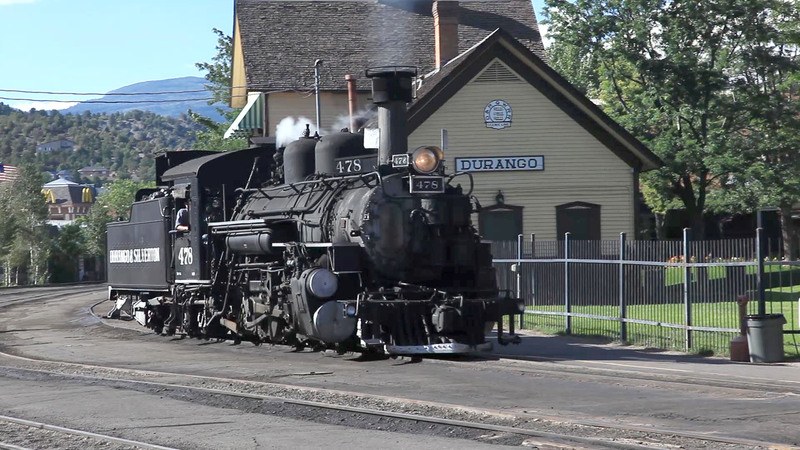 Here’s a short video to give you a flavor of the lovely mountain towns of Durango and Silverton and also how the train traverses the scenic vistas along the beautiful, 45 mile route from Durango to Silverton. 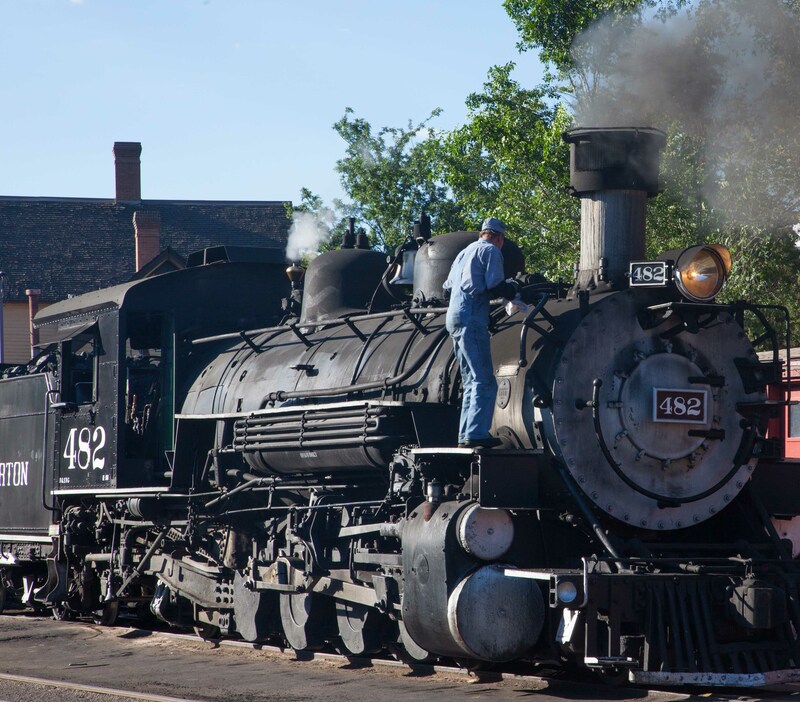 The train makes a picture book journey along the spectacular Animas River and boasts some of Colorado’s most striking canyon scenery. (Some stills were taken by my colleague, Larry Porter). A solo engine steams into the station. 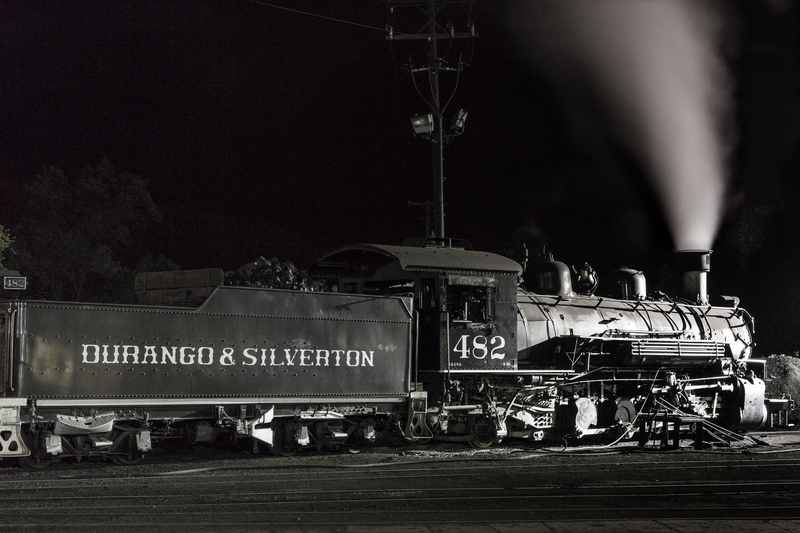 Engine on Turntable at Durango Service Yard. Pic by colleague, Larry Porter. All in all a very beautiful setting for a train lover! 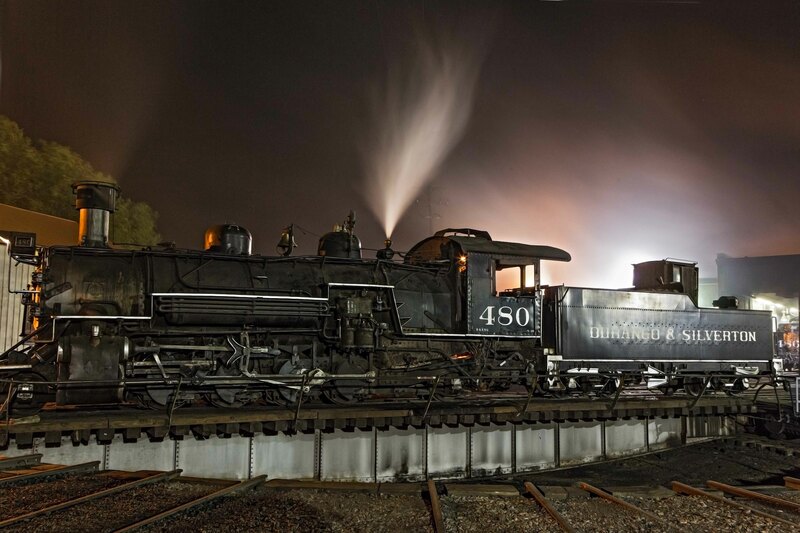 This entry was posted in Education, Photography, Science, Travel, Vacation and tagged Rockies, Trains, Travel. Bookmark the permalink. Ashok – what a fun and atmospheric blog. I feel like I have gone back in time. The sound track to the video gives it a “silent film” feeling. Thanks for the treat! This brought back beautiful memories of my childhood. Trains always fascinated me, they still do. 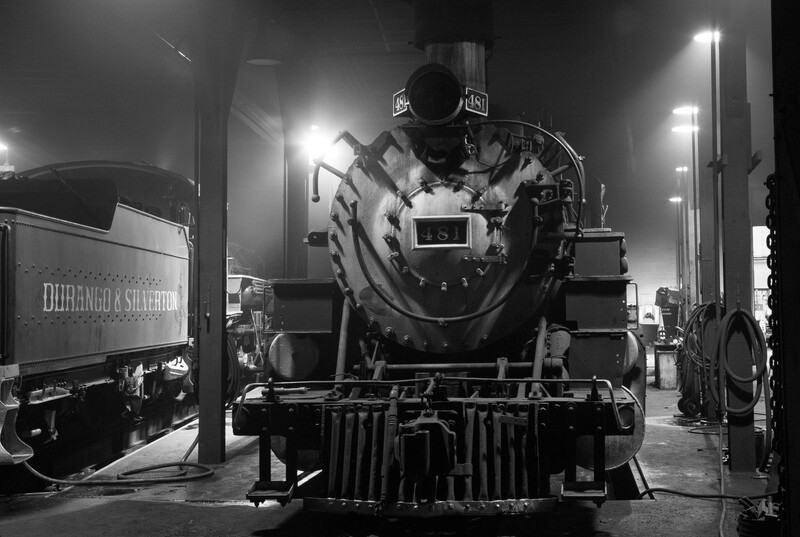 Your beautiful video and photographs of the steam engines has rekindled my old fire and love of trains. Remember the powerful Canadian pulling the Punjab Mail. Durango here I come. Nice essay complimenting some great photography! It has evoked a sense of nostalgia bringing up memories of all those hours of bumpety bump travel in all sizes of Indian and so many international trains. I particularly remember the little one that goes to Ooty and the somewhat larger one to Simla. The night photos of engines being serviced and the video of the moving train from different angles is all done sooo well. I totally agree with Sue. It was a treat to read and see this post!